Michael Dunlop led the way in the opening Supersport session on a rain-interrupted opening day to this year’s Ulster Grand Prix. 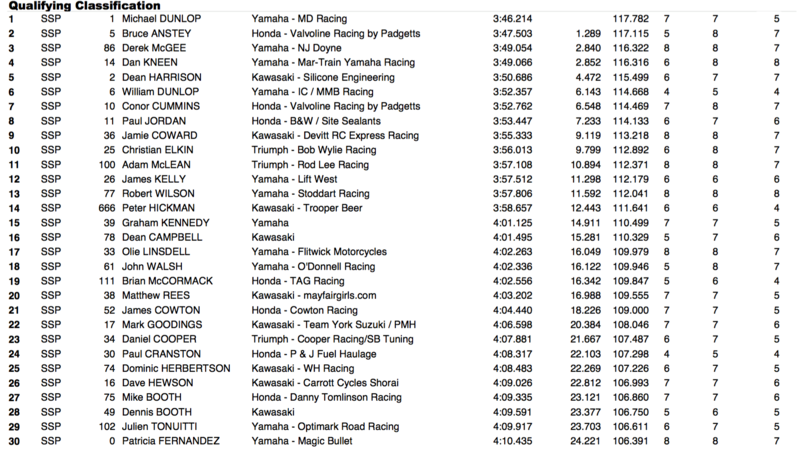 Dunlop left it until the closing seconds of the 30-minute session to post his time, dislodging Padgett’s Honda’s Bruce Anstey from the top spot. 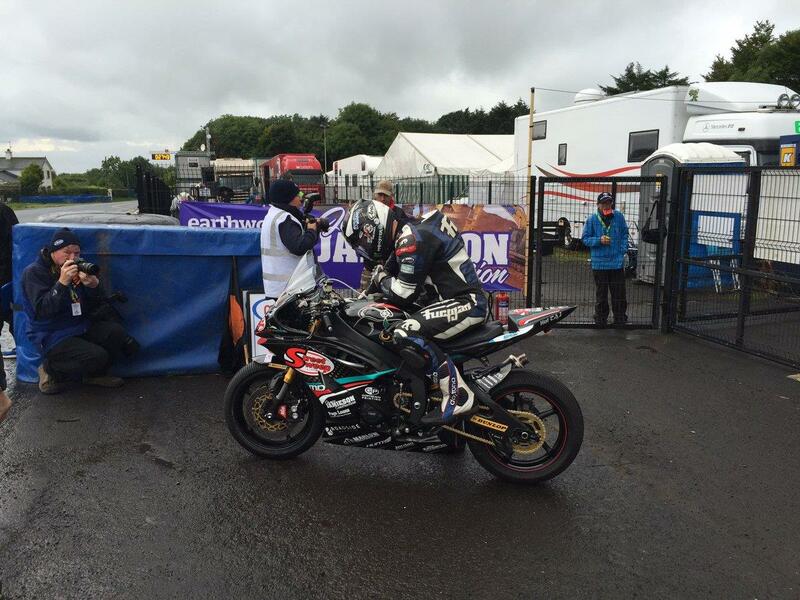 Derek McGee was third fastest on the NJ Doyne Yamaha, ahead of Dan Kneen on the Mar-Train Yamaha R6. Dean Harrison was fifth fastest for RC Express Kawasaki, ahead of William Dunlop and Conor Cummins. Paul Jordan was eighth, with Jamie Coward and Christian Elkin rounding out the top ten.